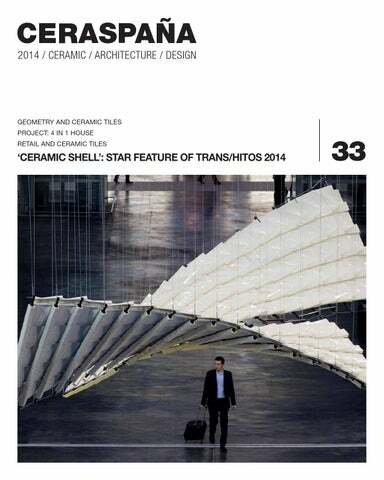 FRONT COVER PHOTO: ‘CERAMIC SHELL’ INSTALLATION AT TRANS/HITOS (CEVISAMA 2014). PHOTO: ACF FOTOGRAFÍA. AND CERAMIC TILES If there is one concept that is inextricably linked to ceramic wall and floor tiles it is geometry. 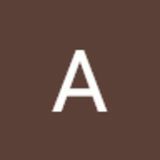 The infinite number of designs, types, sizes etc. of ceramic wall and floor tiles tend to share one common denominator: the fact that the tiles are geometric and have right angles. The last few years have seen a resurgence of collections with geometric decorative motifs. Ceracasa, Deco Colorful and Project series. eometry in ceramic tiles reveals one of the material’s properties which offers the most potential for creativity and that can be approached from different perspectives, thus offering an infinite number of combinations. One approach is to look at the shape of the tile: while the majority of floor tiles are square or rectangular, they are also widely available in other formats such as hexagons, rhombuses and so forth. Another approach is through the decorative motifs on the visible surface of the tile, which come in geometric designs to suit all tastes and styles. Yet another take on geometry in ceramic tiles is to play with the way they are laid. As well as the traditional square and rectangular formats the Tile of Spain manufacturers also produce triangular, octagonal and even rhomboid tiles. forgetting three-dimensional tiles and those that boast added volume. Decorative geometry Designs based on geometric patterns have been gaining ground amongst collections of ceramic tiles for a while now – shapes, figures and abstract forms together with distinctive colors that provide a sense of energy and movement. From the simplest compositions derived from combinations of pieces of mosaic in different hues to the most daring designs that are appearing in some collections inspired by Op Art or with clear references to Escher, which manage to alter the perspective of the surfaces upon which they are placed, thereby creating interesting visual effects. One of the trends gathering the most followers is the one that takes inspiration from hydraulic mosaics, in which geometric motifs and those inspired by nature were the most common. Nandos Restaurant in London with Gallery series floor tiles by Land Porcelánico. Floor tiles laid side by side by Gres de Aragón, Retro series, 33 x 33 cm (13X13”) format. Also finding their niche are the more classic and sober collections: those with stripes, circles and minimalist details that give spaces an elegant, timeless finish. Vives, Tirso series, 43.5 x 43.5 cm (17X17”) format. Layout in the form of a ceramic carpet Tau Cerámica, Heritage series. Geometry in the installation You can play with the way the tiles are installed and create unusual spaces with the most basic, standard tiles by laying them out in unconventional ways. Some basic layouts are: at right angles with continuous joints, offset (where the tiles are placed side by side but a third or half length ahead of each other), with the joints at 45o to each other, in a herringbone pattern, with borders or carpet style. As well as the traditional square and rectangular formats Tile of Spain manufacturers also produce triangular, octagonal and even rhomboid tiles. EVEYTHING YOU NEED TO KNOW ABOUT TILE OF SPAIN DURING CERSAIE’14 AT YOUR FINGERTIPS The app is free to download and is available for iPad, iPhone and Android mobiles, from Apple Stores and Android Market respectively. A useful tool to help visitors find Spanish products. The mobile ‘App’ includes full information on the companies participating in the joint stand organized by ASCER for CERSAIE’14. vorites and even share information on social networks and by e-mail. about new products, where to find them at the fair and contact details in Spain and Italy that can be saved directly to your calendar and/or datebook. The app is free to download and is available for iPad, iPhone and Android mobiles from the APP Store and the Android Market Play Store. It can also be downloaded from the http://www.tileofspain.com/cersaie website. This year’s version offers improved usability and performance on platforms with IO technology (iPhone and iPad). HARVARD DESIGNS SPECTACULAR CERAMIC ROOF Trans/hitos: Reflejos (Reflections), the show about architecture and design as it relates to the world of ceramic tiles, was once again the focus of attention for visitors to CEVISAMA. This time around the indisputable star of the show was the spectacular “Ceramic Shell” installation, a huge ceramic tile roof suspended from the hall’s central pillars. © ACF Fotografía. The installation was suspended more than 3 metres above the floor. © ACF Fotografía. esearchers from the Graduate School of Design (GSD) at Harvard University, and from the Graz University of Technology, recently presented an installation that showcased new structural possibilities for ceramics at the 2014 CEVISAMA. The shell system is part of a research project that highlights the aesthetic and formal qualities of an innovative structural system developed at the Design Robotics Group at the GSD. This ongoing research project is led by Professor Bechthold at Harvard University, and is supported by the Spanish Ceramic Tile Manufacturer’s Association (ASCER), as well as CEVISAMA and the Institute for Ceramics Technology (ITC). The unique feature of the “Ceramic Shell” is that it is a double curve that has been created out of single tiles, whereas standard practice with this kind of surface is to use different tiles. Interior of the L’Oreal Academy in Barcelona (EMBT Arquitectos). Ceramic flooring custom designed for the project. Ceramic stands out as it offers high technical specifications such as strength, anti-slip surfaces, hygiene and durability, all of which are essential in this type of project. Chocolatería Brescó (Barcelona) Neolith, Avorio and Chocolate models (Colorfeel collection). Fashion shop with porcelain stoneware floor by Keraben (Kursal Óxido series, 100 x 50 cm -40x20”- format). All of these projects reflect the versatility that ceramic affords for designing commercial spaces and that is something that some professionals are still unaware of. avoid the undesirable changes that can happen with the passage of time. There are no set rules when it comes to designing this type of space, just one fundamental principle: to create a space that is emotive, a setting that works around the user and makes their visit to the restaurant, shop, bar etc. an experience in itself. Ceramic is playing an increasingly prominent role in these spaces because of its aesthetic versatility and its functionality. Luminaa Restaurant & Lounge bar (Amsterdam). Dune Cerámica, Platinum Keops and White Pad series (Megalos collection). There is no doubt that the eye-catching floor at “La Llonjeta” (in Dénia, Alicante) is the shop’s identifying feature. Cerámicas Aparici, Moving series. The “De Natural” with vintage style tiles by Mainzu (20 x 20 cm / 8X8” - Victorian series) and porcelain stoneware tiles by STN (60 x 60 cm / 24X24” - Cosmic series). textures and finishes of the tiles, with some even being used back to front creating an uneven, earthy colored texture, fills the space with personality. Celebrated chef Ricard Camarena’s Central Bar in Valencia. All of these projects are yet another demonstration of ceramic floor and wall coverings’ main attribute and of the feature that best defines ceramic: versatility in usage and aesthetics. What other material offers such high technical specifications in terms of being resistant to heavy traffic, anti-slip, hygienic, low maintenance etc. without forfeiting the sought-after style and design elements? The Itinere restaurant in the Baqueira Beret ski resort, which combines wooden floors with large format, ultra-thin strips of ceramic tile on the walls. Techlam© by Levantina, Vulcano series. Photo: Gorka Matínez. THE 4 EN 1 HOUSE: FOUR WAYS OF INHABITING THE SAME HOME The home is one of the biggest ‘laboratories’ for the architects who invent the mechanisms for designing and building domestic spaces. The current new sensitivity to issues of efficiency and economy calls for a fresh response to the demand for new ways of life and ceramic is one of the ways of meeting the new criteria. The 4 en 1 House, Architect Manuel Clavel Rojo. © David Frutos. he masters of modernity turned the domestic environment into a veritable spatial laboratory, making the interior of their homes a 20th century box, simple and technical. This led to the emergence of a new way of inhabiting the home that related directly to the new technologies and offered questionable levels of privacy. The exterior, however, remained a space in waiting, a space that had only been looked at in passing and that had evolved over decades. Nowadays this type of home, which re-defines space and posits new domestic goals, is still being designed, although less persistently. The concept of the house has been re-defined and the definition goes beyond the usual one as a way of catching the attention of the user and of everyone in the vicinity. It was this that gave rise to architect Manuel Clavo Rojoâ&#x20AC;&#x2122;s 4 in 1 house project, which was a finalist in the twelfth ASCER Architecture and Interior Design Tile Awards. Interior of the house. ÂŠ David Frutos. General view of the house and surroundings. Architect Manuel Clavel Rojo. © David Frutos. The chosen tiles are blue and white, in a classic style and the 20x20cm (8X8 inches) format alters the perception of just how long the room is. les are a return to the past and contrast with the modern structure that has been built on a huge, 37 meter (121 feet) metal truss which is what enables the light to pour into the home. The ways in which people use a home are very different depending on where it is located, how the rooms are arranged and the culture of the people living in it. There are no limits to the approaches that can be taken. This single family home in Murcia offers four different approaches in one – hence its name: the 4 in 1 House. In this one project architect Manuel Clavo Rojo has created a different sense of the space on each of the three floors. He has taken particular care to devise different environments throughout the inside of the house, studying everything in minute detail. The main objective was to create unique sensations in each of the spaces, doing so through the use of ceramic tiles. ber of visitors in the house at any one time. There is also a central living space that is connected to the hub by stairs. Detail of the classic style tile (20x20 cm / 8X8 inches) on concrete slabs. © David Frutos. The house can be experienced on four different levels: Experience Leisure: on the floor below ground level the fun starts in the parking bay, with the view of the swimming pool through an ‘indiscreet window’. Experience Relaxation: it is on the ground floor where you find the social area, living room, and the space to enjoy listening to music. for growth. ASCER, with the support of ICEX and in collaboration with the local Spanish Commercial Offices organizes regular seminars for specifiers. The next are due to take place in the autumn in London, Moscow, Paris, Frankfurt and Düsseldorf. Tile of Spain promotion in Rome targets architects Tile of Spain took part in the Rome stage of the “Edilportale Tour 2014” as part of the Italy Promotion Plan being presented in collaboration with the Spanish Commercial Office in Milan and ICEX Spain Trade and Investment. Tile of Spain promotion at the ‘Smart Tour’ seminar in Rome.